The Enterprise crew take sabbatical on the pleasure planet Argelius II when a series of women are murdered. 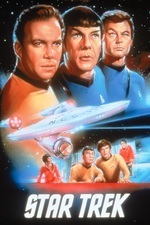 Mr. Scott is accused of the crimes and it is up to Kirk and the psycho-tricorder to prove his innocence. "Wolf in the Fold" is episode #43, production #36, and was broadcast on December 22, 1967. It was written by Robert Bloch, and directed by Joseph Pevney. The psycho-tricorder would change the dynamic of future shows forever. I'm glad it was only a one episode device...well as far as I know up to this point. Overall, a bleh episode for me, but the Jack the Ripper thing was somewhat interesting if not completely out of left field. I do love that the solution is everybody taking drugs.